Featuring a menu inspired by Mediterranean ingredients and influenced by local and seasonal products, Rioja is the fine dining leader in Denver. Every detail is executed to perfection at this hit in the trendy Larimer Square district headed by Chef Jennifer Jasinski, a finalist on 2013’s Top Chef Masters. 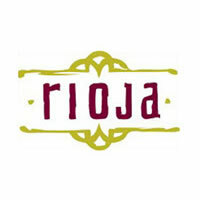 Of Note: Rioja Chef and Owner Jennifer Jasinski was recently honored with the 2013 James Beard Award for Best Chef Southwest, after being named a finalist in 2012.